Free 3 column dotnetnuke skin with rounded corners and navigation bar on the top available for download. 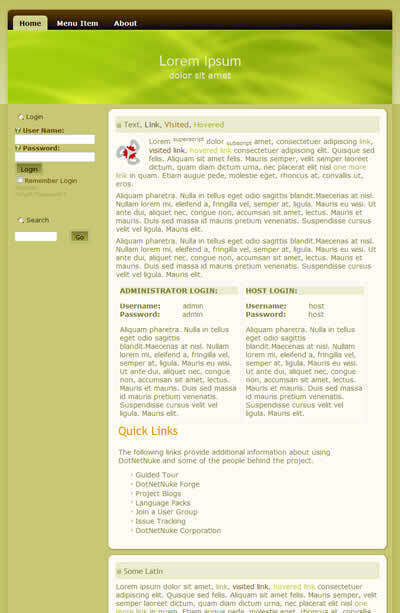 This free dnn skin has main content in the center column, sidebars on the lef and right and it is css and xhtml valid. 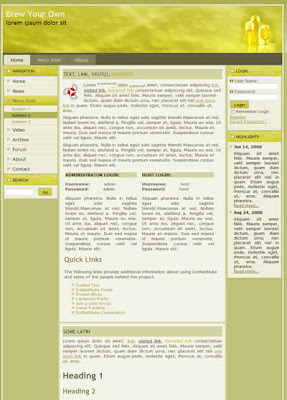 Free 3 column dotnetnuke skin suitable for travel portal. 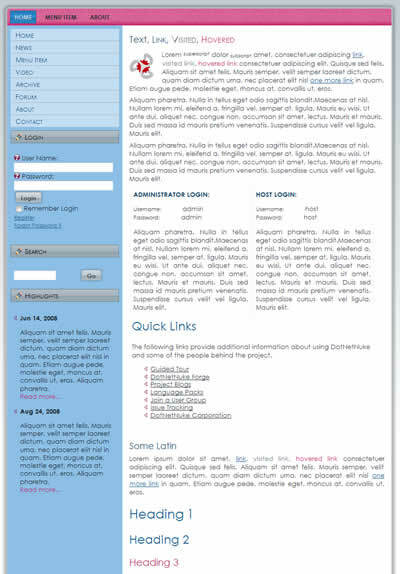 This free dnn skin has fixed width, main content in the center column and it is css and xhtml valid. 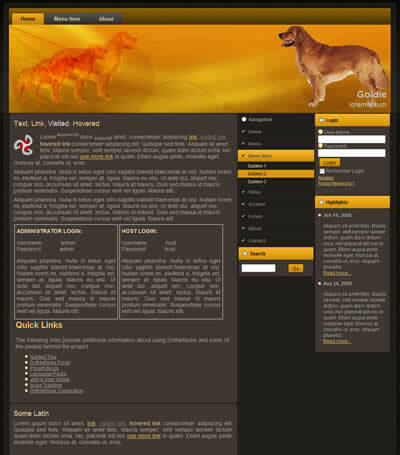 ﻿ Free 3 column dotnetnuke skin with golden and brown color scheme, main content in the center column and multilevel drop down menu. 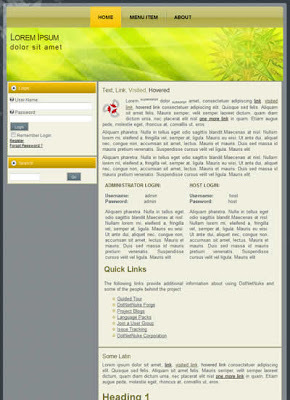 This free dnn skin is suitable for business or portal website. 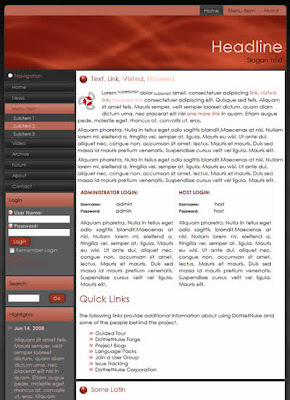 dnn_byo has fixed width and it is css and xhtml valid. 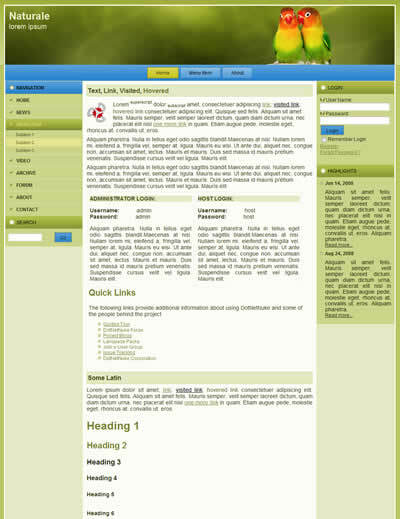 Free 3 column dotnetnuke skin suitable for business website with fixed width and rounded corners available for download. 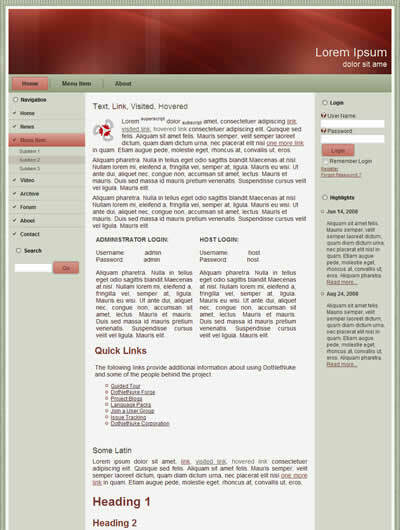 This free dnn skin has main content in the left column, 2 sidebars on the right and it is css and xhtml valid. Free 3 column dnn 5 skin with main content in the left column and two sidebar. This free dnn skin is suitable for pet portal. 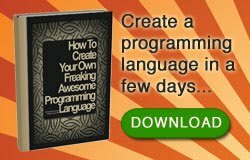 It has fixed width and it is css and xhtml valid. Free 3 column Dotnetnuke skin with rounded corners and dark background suitable for blog or business website. This free dnn skin has main conetnt in the center column, sidebars are left and right, it is css and xhtml valid and it has fixed width. Free 2 column dotnetnuke skin suitable for business website with rounded corners and main content in the right column. 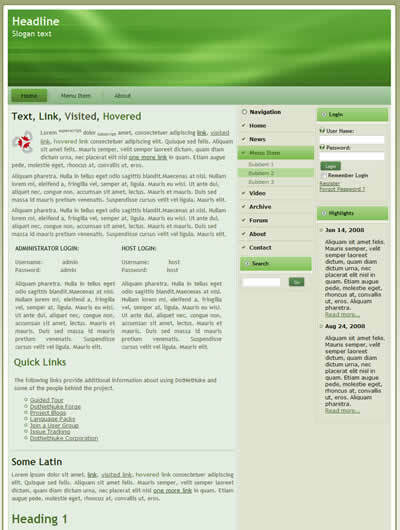 This fre dnn skin has horizontal and vertical drop down menus and it is css and xhtml valid. 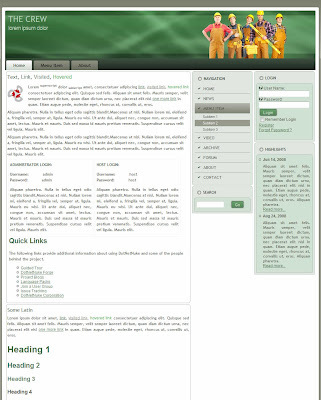 Free 3 column dotnetnuke skin with green and yellow color scheme. This free dnn skin has drop down menu on the top and it is css and xhtml valid. It is suitable for blog or business website. 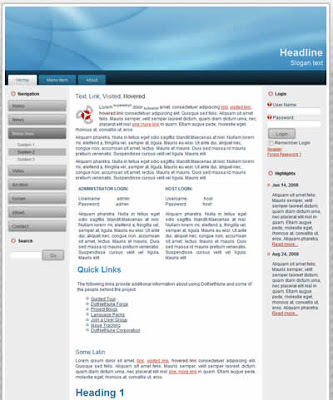 Free 3 column Dotnetnuke skin with blue vertical and horizontal navigation bars and white, light gray and blue color scheme. This free dnn skin has fixed width it is css and xhtml valid and it is suitable for health related blog or portal website. 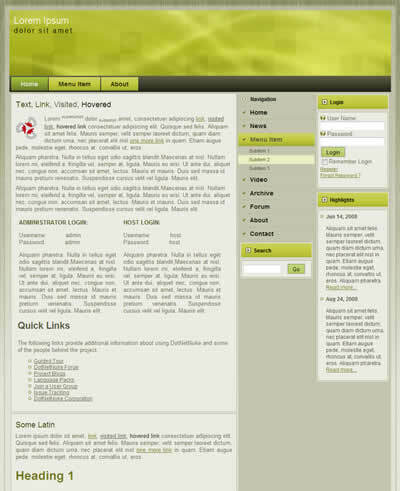 This free dnn skin is css and xhtml valid and it is suitable for business website or personal blog. 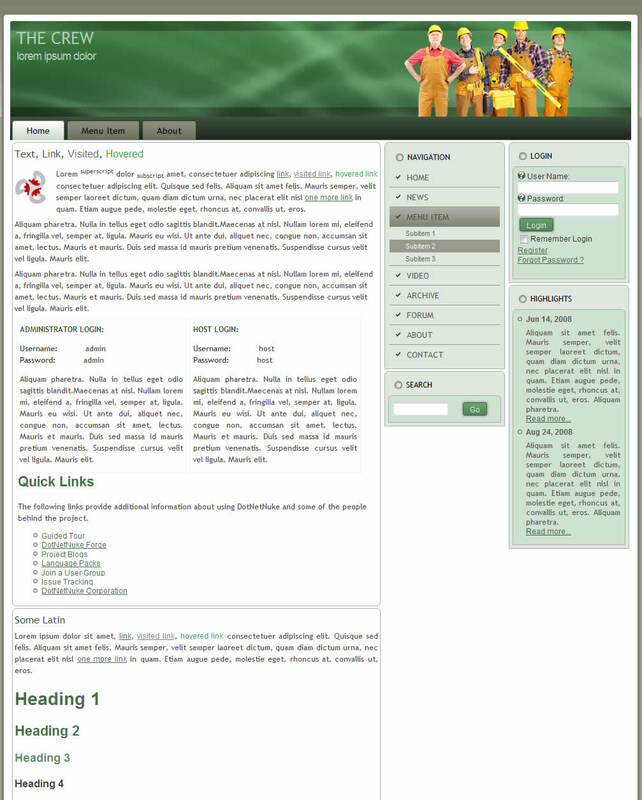 Free 3 column dotnetnuke skin with navigation bar on the top and main content in the left column. 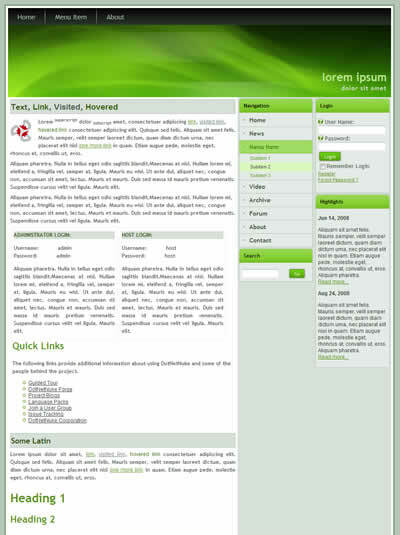 This free dnn skin has fixed width and it is css and xhtml valid. 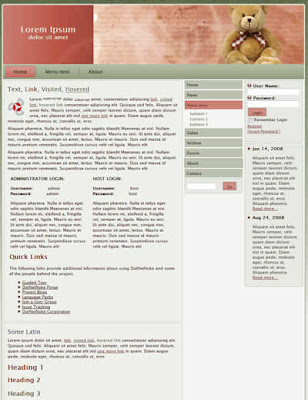 Free 3 column tableless dotnetnuke skin with main content in the center column and sidebars left and right. This free dnn skin has fixed width, it is css and xhtml valid, it has rounded corners and striped background. 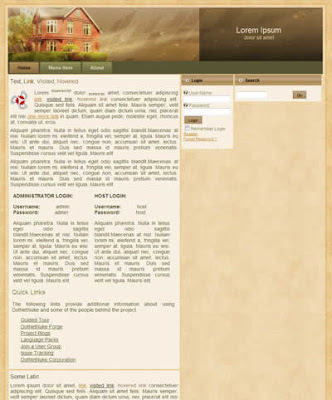 This skin is suitable for the business website. 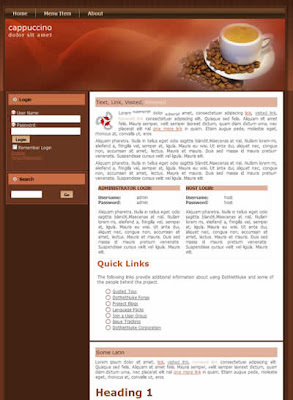 Free 3 column dotnetnuke skin with horizontal and vertical drop down menu, fixed width and wooden background. 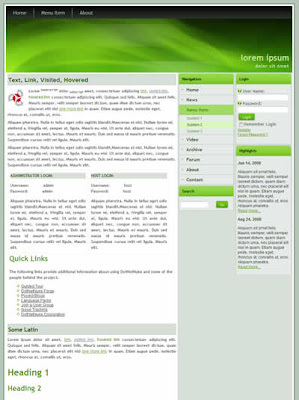 This free dnn skin is css and xhtml valid and it is suitable for blog or business website. 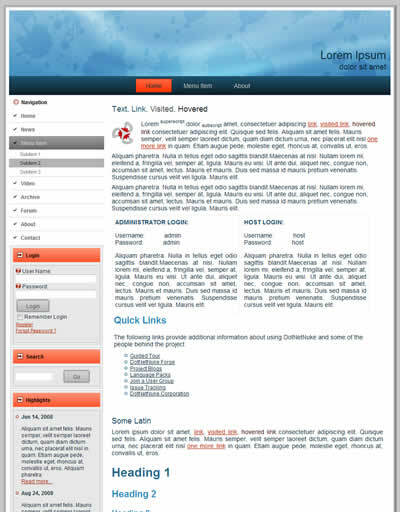 Free 3 column css and xhtml valid dotnetnuke skin suitable for portal or business website. 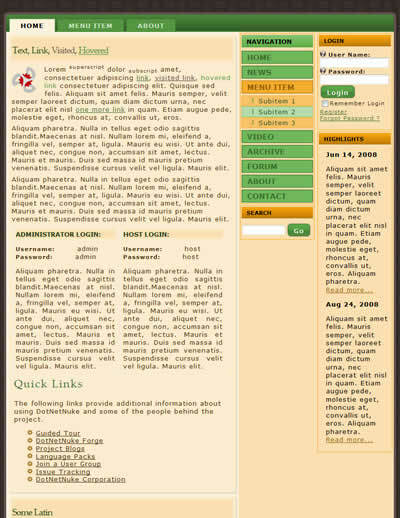 This free skin has vertical and horizontal drop down menu, main content on the left, it has fixed width and wooden background. Free simple 2 column tableless dotnetnuke skin with blue header and gradient gray background. 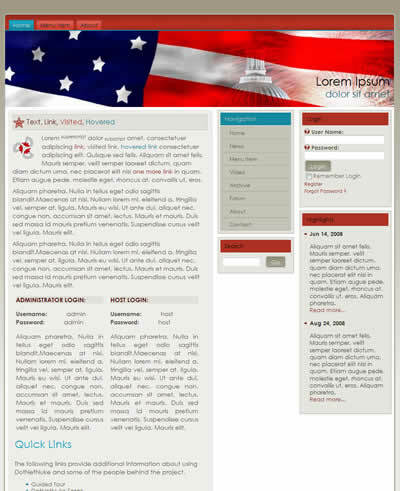 This free dotnetnuke skin has main content in the right column, sidebar on the left, it is css and xhtml valid and it is suitable for any kind of business website. 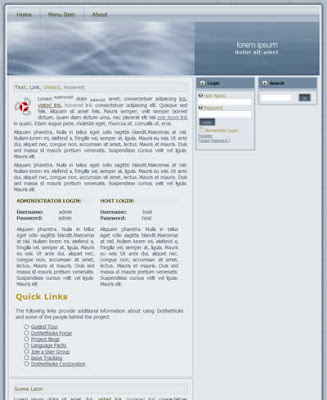 Free 3 column dotnetnuke skin with flash element in the header, horizontal and vertical multi level drop down navigation bars and main content in the center column. 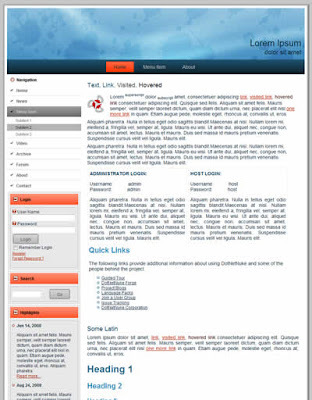 Free 2 column dotnetnuke skin with tabbed navigation bar on the top, left sidebar, rounded corners and multilevel drop down menu. 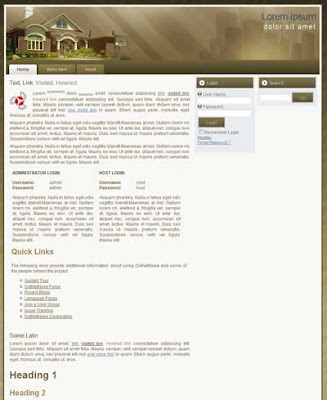 Free 3 column tableless DotNetNuke skin suitable for real estate website or portal. 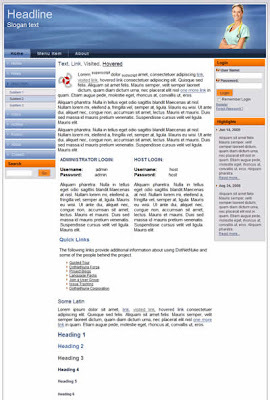 This free dnn skin has main content in the left column, two sidebars on the right, it is css and xhtml valid and has fixed width. 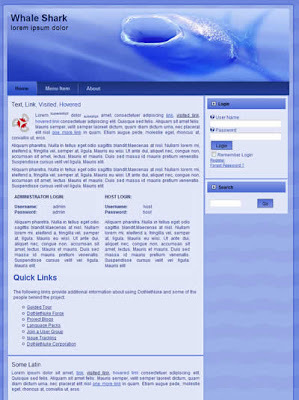 Free wildlife dotnetnuke skin with blue color scheme. This free dotnetnuke skin has main content in left column, sidebar in the right column, drop down menu and it is css and xhtml valid. 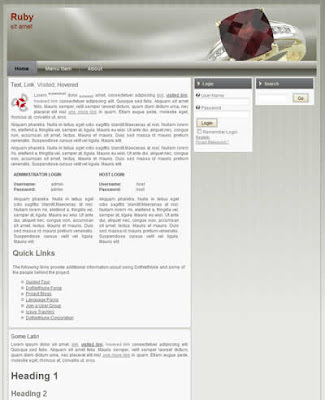 Free 3 column DotNetNuke 5.0 skin suitable for e commerce website. 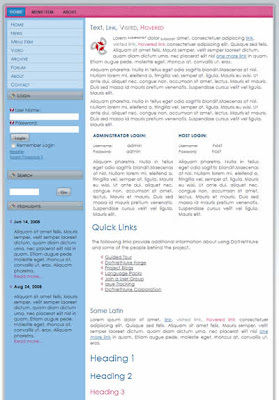 This free dnn skin has fixed width, it is css and xhtml valid, it has horizontal drop down menu, main content in the left column and two sidebars on the right. 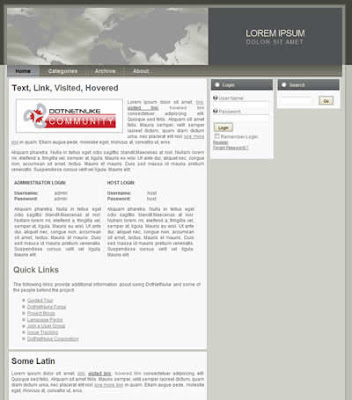 Free 3 column dotnetnuke business skin with gray color scheme. Theme has fixed width, it is css and xhtml valid, has rounded corners and navigation bar on the top. 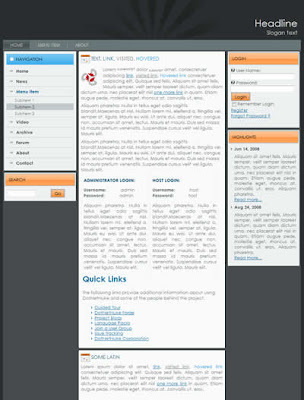 Free 3 column css and xhtml valid dotnetnuke skin with navigation bar on the top and rounded corners. 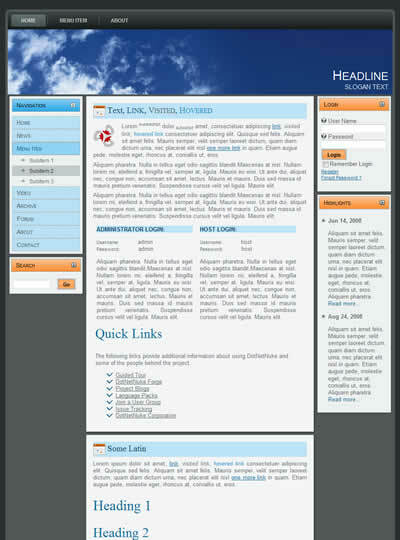 This free dnn skin has main content in the right column, sidebar on the left and dark gray stripped background. 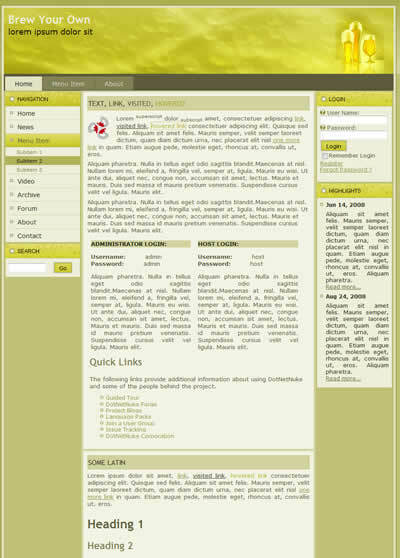 Free 3 column dotnetnuke skin suitable for real estate business website or portal. 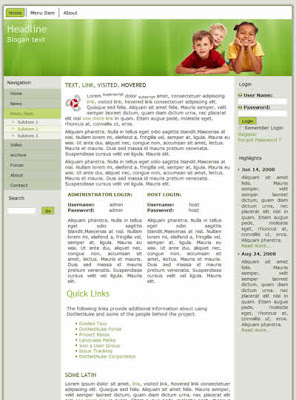 This free dnn skin is css and xhtml valid, it has fixed width, tabbed navigation bar, wooden background, main content in the left column and sidebars on the right. 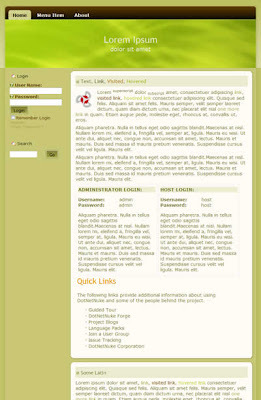 Free 2 column dotnetnuke skin with sidebar in the left column and main comtent on the left. This free dnn skin has fixed width, brown and white color scheme, navigation bar on the top and it is css and xhtml valid. 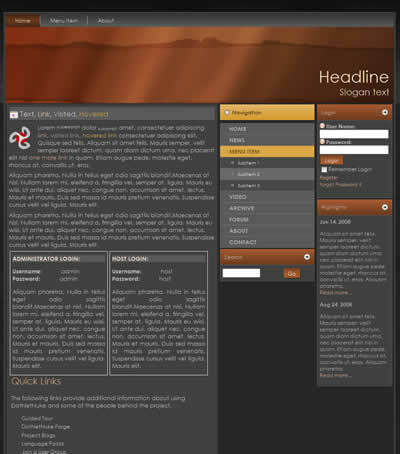 Free 3 column dotnetnuke skin for business website ready for download. 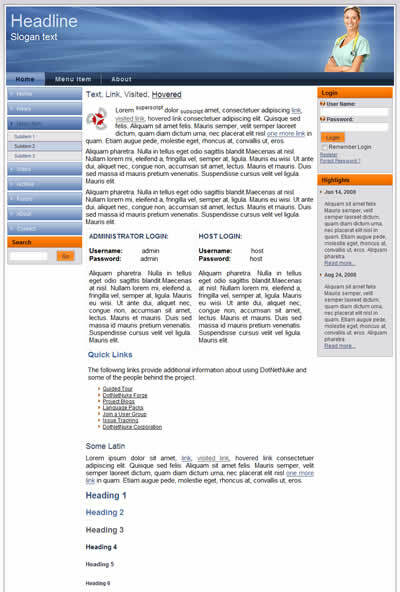 This free dnn skin has multilevel drop down menu, main content in the left column and two sidebars on the right. 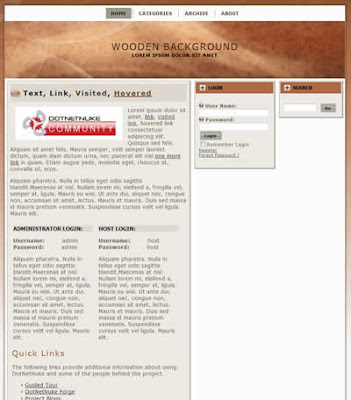 Free three column dotnetnuke skin with fixed width, navigation bar on the top and wooden background. This free dotnetnuke skin is css and xhtml valid. Free 3 column dnn skin with main content in the center column and sidebars on the left and right. This dotnetnuke dnn skin has fixed width, it is css and xhtml valid and it has drop down horizontal navigation bar on the top.